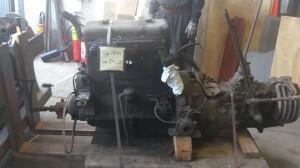 We have got an engine from Scania in Södertälje. 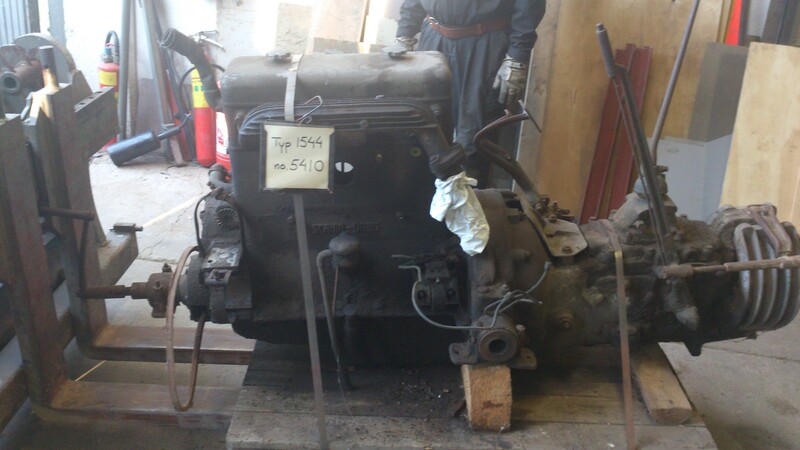 It is an 1544 engine which has been used in a truck but now it will be upgraded to a tank engine. Last monday we should lift out the stearing gear but two bolts were very hard to unfasten. The only way to remove them seemed to be to drill them out. Soon it is time to lift off the body from the chassis. The preparations are already done, now it is only to unfasten 72 more bolts and then lift it off.